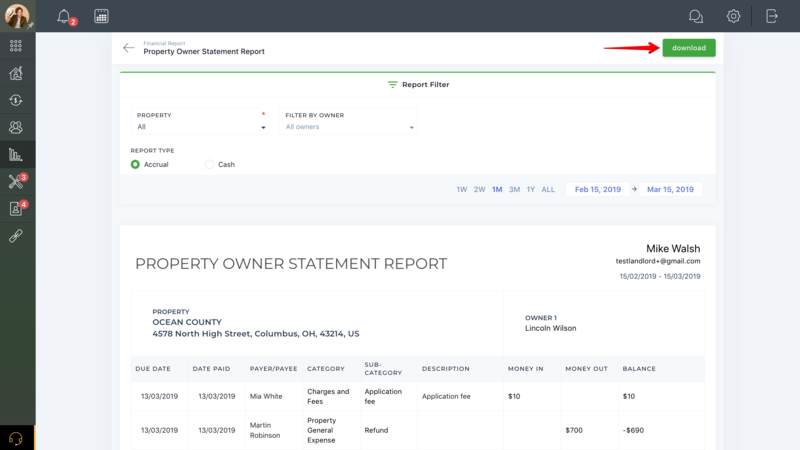 This report shows all invoices and expenses in relation to a group of properties or specific property as it relates to an owner. What reports can I find in TenantCloud? How do I set which reports an Owner can view? How do I view the property reports?